Alas Negras are an outstanding band from the island of Puerto Rico who have an unbelievable ability to combine heavy, power and thrash metal into one unbelievable package in away that will put a smile on your face. Currently the band has three albums out, and as you will read in the reviews below each release shares some similarities but they also feature elements which make them unique from one another. 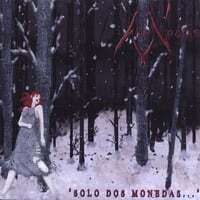 The bands 2006 debut “ ‘Solo Dos Monedas…’ ” is a great way to start things off for any band. The thing that stands out the most is just about every song on the album is performed in the bands native tongue of Spanish instead of English which is considered to be the universal language of heavy metal. Although unorthodox this is something that I wish more bands did and Alas Negras have pulled off in a fantastic way. Musically the band shows a lot of diversity and bring a vast knowledge of song structure to the table. While listening to some parts of this release it is evident that the band has a strong love of Iron Maiden, but other parts however show the band blazing trails. Through and through this is a metal release, and a damn good one at that, however the band is not afraid to mix it up by throwing some really nice acoustic parts into the album that are down right beautiful and show just how talented these musicians are. All these elements combined equal a great debut album that is a must own for any heavy metal enthusiast. 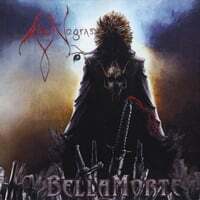 The bands second effort “Bella Morte” features a much more aggressive sound than the bands previous effort. It is clear the band is inspired more by the thrash metal scene, however the beauty of Alas Negras is that this band isn’t just inspired by one particular genre of metal, you can also hear a very clear power metal influence as well, in particular Iced Earth. Similar to their debut, with this release Alas Negrasjam pack this album with a ton of originality. When this album thrashes it really thrashes, however similar to their debut Alas Negras throw in some really nice melodic elements that take the album into another direction entirely. With this release Alas Negras have rapidly progressed and yet again have released an album that is a must own. The bands third album “The Slasher Show” may very well be the best of the three albums this band has released thus far. This album will appeal to anyone who loves horror movies and thrash metal, this is because every track on this release is based off a different classic horror flick, Friday The 13th, A Nightmare On Elm Street, Candyman, Hellraiser all the classics and a few others are featured on this mammoth release. The theme is not the only thing that sets this album apart from the other Alas Negras albums, almost immediately the listener can’t help but notice that the production on this release is much more crisp than the production on the bands previous two albums. “The Slasher Show” is a straight up thrash metal release, the band attacks their instruments in a much more aggressive manner, thunderous double bass drums and some killer old-school riffing can be found throughout. This album is a real rager and the theme of the album just adds to its awesomeness. This is not only the bands greatest effort but it is my favorite album from Alas Negrasthus far and simply put this is a must own for not only fans of thrash but good metal in general. Overall Alas Negras is a band that has done nothing but progress since their formation. With each release the band has become significantly heavier and faster with their approach to heavy metal. If this trend of greatness continues (and I don’t see it stopping any time soon) then Alas Negraswill be a house hold name in the world of heavy metal in no time. You can purchase all three of the bands albums over on the official Alas Negras Facebook page and make sure you do, this band is nothing short of great. Congrats to Giancarlo and the rest of the band!!!!! Bonded By Blood To Record New Album!